Aim. The main task of the geodesy is to determine the shape and size of the Earth and its changes over time. An integral part of determining the shape and size of the Earth is the construction of a geoid surface model, both global and regional. Today larger and more precise arrays of input data (geopotential functionals) appear to construct such a model, methods for their processing are rapidly becoming generated. One of such methods is an extention in a series of spherical functions on a spherical trapezium. Since the functionals of the gravitational field are mostly obtained using the differentiation operator, for the use of this method it is necessary to investigate the first and second derivatives of spherical functions on a spherical trapezium, which is the purpose of this work. Method. Spherical functions on a spherical trapezium can not be presented in explicit form, nor do they have simple recurrence relations. To calculate them, the extention in a hypergeometric series should be used. Therefore, to calculate the first and second derivative from the above-mentioned functions, the derivative from the hypergeometric series should be used. Results. As a result of certain mathematical transformations, we obtain an expression for finding the first and second derivatives of spherical functions on a spherical trapezium, as well as a comparatively obtained result with spherical Legendre functions of the first kind. The scientific novelty and practical significance. The expression for the first and second derivative of spherical functions on a spherical trapezium was first determined. The result obtained with the spherical Legendre functions of the first kind is comparative. This enables the use of such functions as a basic system of functions on a spherical trapezium for modelling of regional gravitational or magnetic fields. 1. De Santis, A. (1991). Translated origin spherical cap harmonic analysis, Geophys. J. Int., 106, 253–263. 2. De Santis, A. (1992). Conventional spherical harmonic analysis for regional modeling of the geomagnetic feld, Geophys. Res. Lett., 19, 1065–1067. 3. De Santis, A. & Torta, J., (1997). Spherical cap harmonic analysis: a comment on its proper use for local gravity field representation, J. of Geodesy, 71, 526–532. 4. Dzhuman, B. B. (2013). On the constraction of local gravitational field model. Geodynamics, 1(14), 29–33. 5. Dzhuman, B. B. (2014). Approximation of gravity anomalies by method of ASHA on Arctic area. Geodesy, cartography and aerial photography, 80, 62–68. 6. Dzhuman, B. B. (2017). Modeling of the gravitational field on spherical trapezium. Geodesy, cartography and aerial photography, 86, 5–10. 7. Haines, G. (1985). Spherical cap harmonic analysis, J. Geophys. Res., 90, 2583–2591. 8. Haines, G. (1988). Computer programs for spherical cap harmonic analysis of potential and general felds, Comput. Geosci., 14, 413–447. 9. Hobson, E. (1931). The theory of spherical and ellipsoidal harmonics, New York: Cambridge Univ. Press, 476 p.
10. C. & Chen, S. (1997). Fully normalized spherical cap harmonics: application to the analysis of sea-level data from TOPEX/POSEIDON and ERS-1, Geophys. J. Int., 129, 450–460. 11. L. & Tait, P. (1896). Treatise on natural philosophy. New York: Cambridge Univ. Press, 852 p.
12. Macdonald, H. (1900). Zeroes of the spherical harmonic considered as a function of n, Proc. London Math. Soc., 31, 264–278. 13. Marchenko, A. & Dzhuman, B. (2015). Regional quasigeoid determination: an application to arctic gravity project, Geodynamics, 18, 7 –17. 15. Smirnov, V. (1954). The course of higher mathematics. III, 2, Moscow: Science. 16. Sneeuw, N. (1994). Global spherical harmonic analysis by least-squares and numerical quadrature methods in historical perspective, Geophys. J. Int., 118, 707–716. 17. Thebault, E., Mandea, M. & Schott, J. (2006). Modeling the lithospheric magnetic field over France by means of revised spherical cap harmonic analysis (R-SCHA), J. geophys. Res., 111, 111–113. 18. Yankiv-Vitkovska, L. M. & Dzhuman, B. B. (2017). Constructing of regional model of ionosphere parameters. 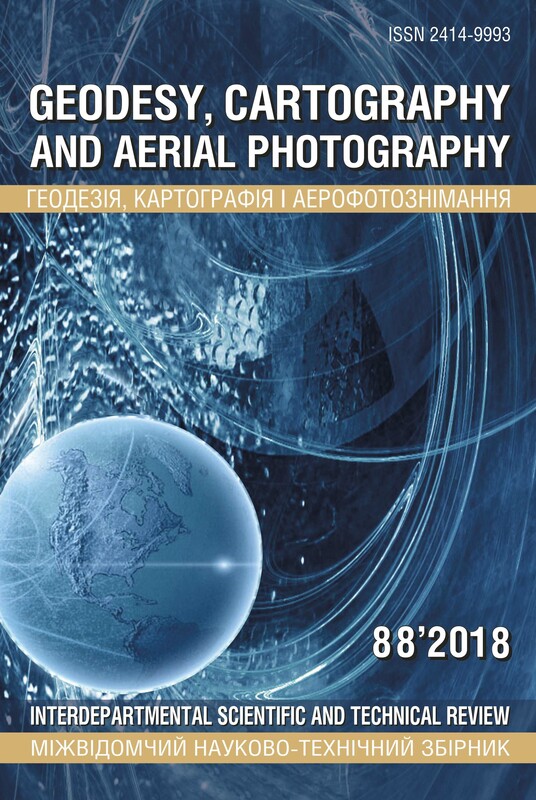 Geodesy, cartography and aerial photography, 85, 27–35.